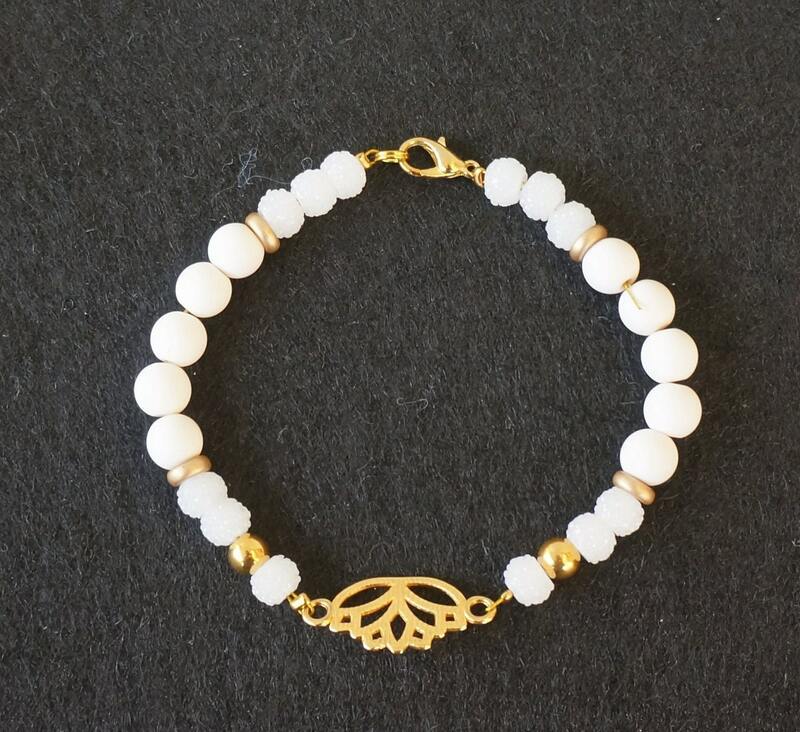 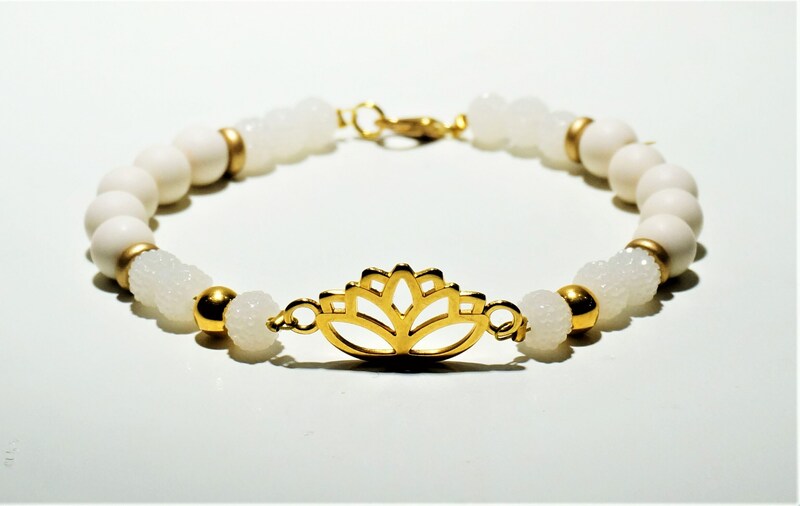 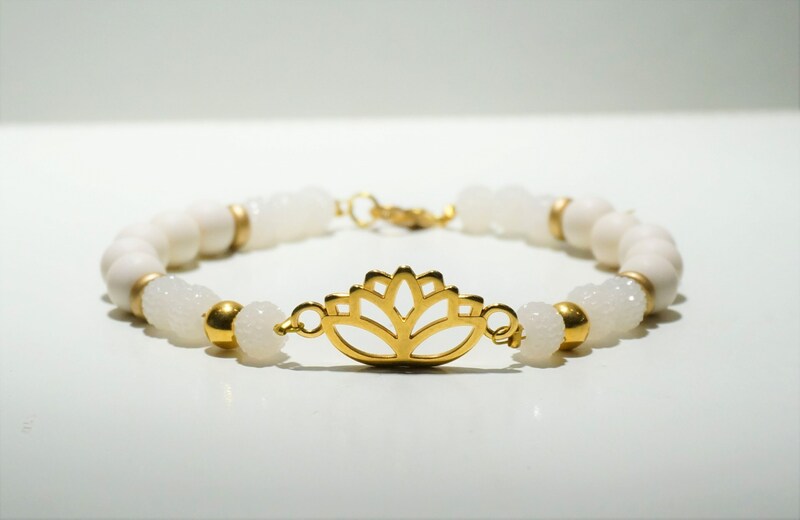 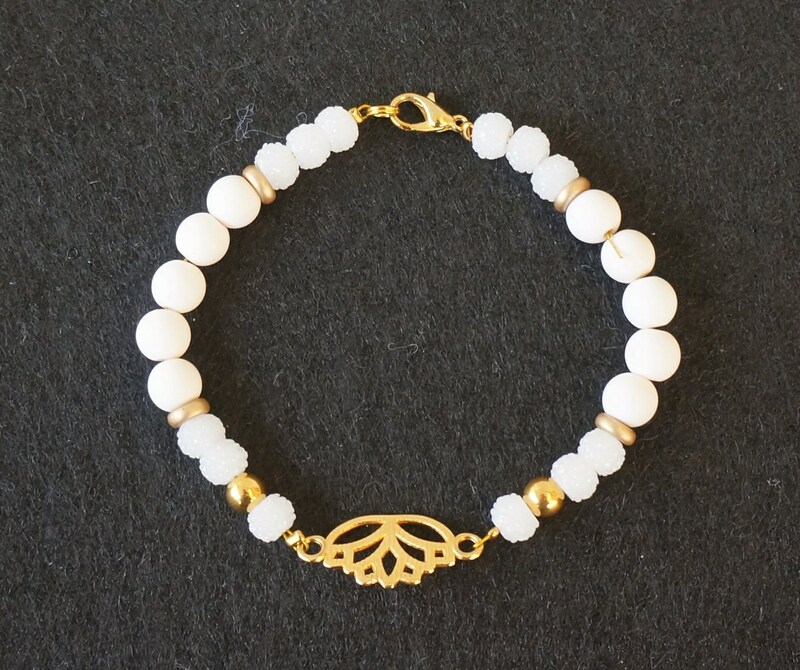 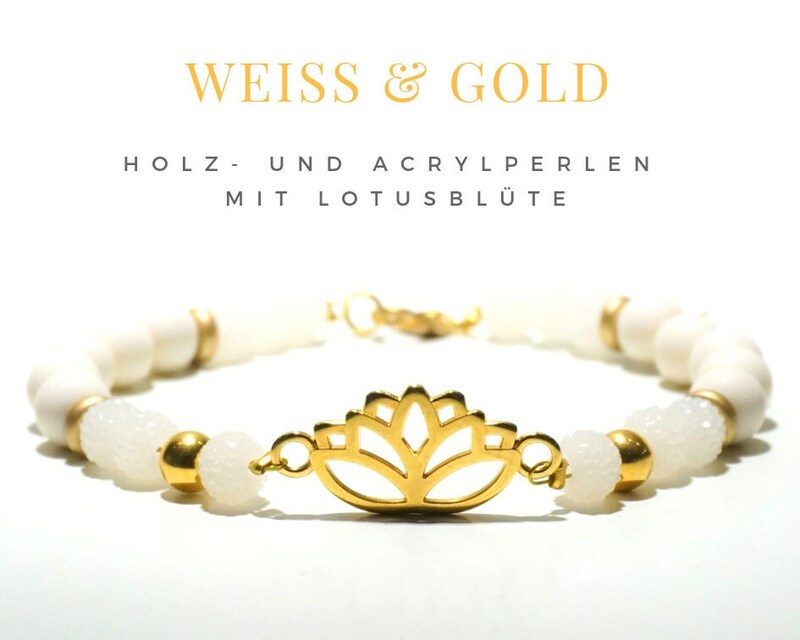 White pearl bracelet with gilded lotus flower. 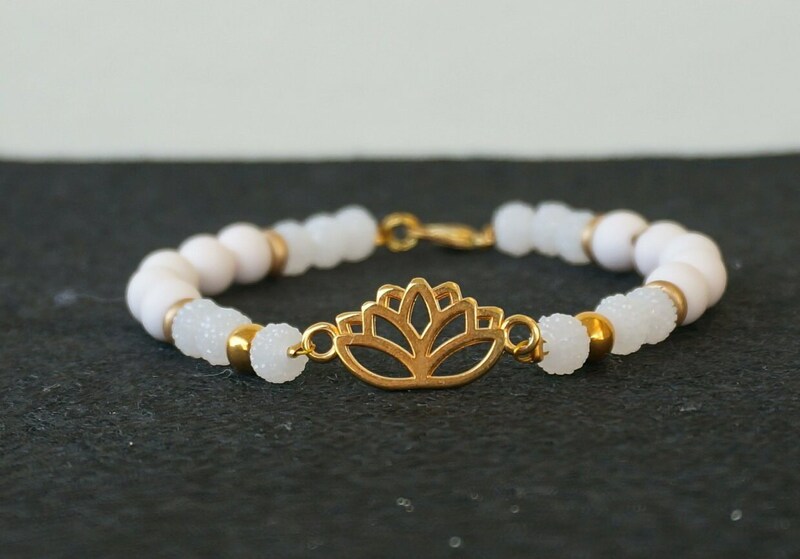 The bracelet consists of white, slightly cream-colored 6 mm acrylic beads, which look like frosted and thus glisten very nicely as well as matte 8 mm wooden beads. 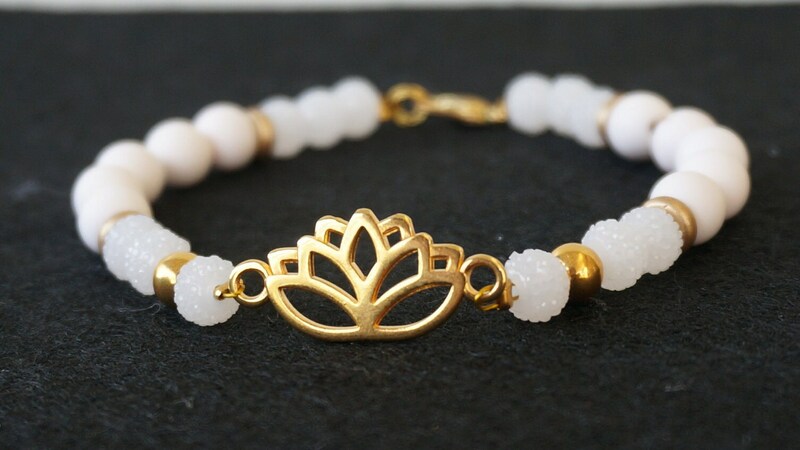 The 18cm-long bracelet is not elastic, it is closed with a golden carabiner and is sent as a gift wrapped in an organ letter.